Are you frustrated about your weight? Are you finding most diets too hard to follow or find that, even when you do follow them religiously, they just don't work for you? Are you looking for a diet that will help you both lose weight and feel and look great? If this accurately describes your needs, you have come to the right place! Did you know that nearly two thirds of population in most developed countries are overweight? Are you aware that 75% of the population is chronically de-hydrated. Did you know that, contrary to common belief, carbohydrates are not all bad for you? If you answered no to these questions, then you are like many dietors and you are confused about what you should or should not be eating. 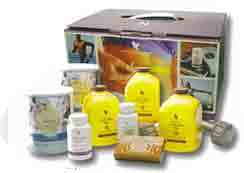 Forever Living Products have released a revolutionary new weight management program. This product has been designed to eliminate the the guesswork out of weight control. The program has two parts:A 9 day cleanse; thenA 30 day maintenance plan. Following the 9 day cleanse program there is a 30 day maintenance program - Nutri-Lean, which will help maintain your reduced weight and continue the good work of cleansing your body. Maintaining the new you will require commitment, but you will have mastered this at the end of the Clean 9 program. 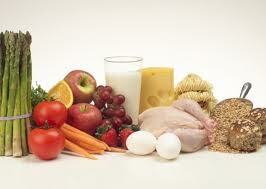 Nutri-Lean is about eating right, and maintaining a healthy balance of carbohydrate, protein and fat. FLP add to this a daily exercise program that you can fit around a busy lifestyle. On Nutri-Lean you will still lose weight, but not as rapidly as on Clean 9. At the end of the Nutri-Lean program you can repeat Clean 9 to further cleanse and lose weight. Nutri-Lean combines healthy meals with the Forever Lite meal replacement, Garcinia Plus, Bee Pollen, and Aloe Vera Gel to ensure you get all the nutrients you need. If desired other Forever Living Products supplements can be added such as Absorbent C, Garlic Thyme, B12 Plus, and others. As with the Clean 9 program, Nutri-Lean comes with a helpful booklet that includes all the information you need, and provides meal planners and calorie information.Always consult your doctor before starting this or any diet or exercise program. After you have lost weight using the cleansing Clean-9 Plan, you will want to maintain your weight loss and the Nutri-Lean Plan helps you to do that. It provides you with all the nutritional supplements you need to make sure you are not depriving your body while you maintain your ideal weight. You'll continue to burn fat, lose weight, and feel good at the same time. The plan will instuct you how to adopt healthy eating and life-style habits which will aid in maintianing your weight at the best level for the rest of your life. Forever Aloe Vera Gel or Aloe Berry Nectar drink naturally cleanse and detox the body, while providing over 75 nutrients, some of which the body needs and cannot make itself. These nutriants will help you to keep your digetive system working well as well as boosting your energy levels. Forever Lite Ultra meal replacement shake contains all thebof vitamins, minerals, proteins and carbohydrates you need and can be mixed with either skimmed cow or goat or soya milk. Forever Garcinia Plus aids natural metabolism, helps lower cholesterol and fatty acids, and aids in the development of hair, nails and skin. Also helps to energize the body. Forever Lean contains two revolutionary ingredients that can help reduce the body’s absorption of calories from fat and carbohydrates. 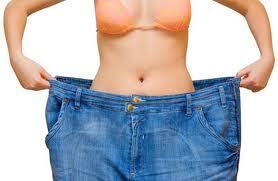 When combined with exercise and sensible eating, this will help you lose weight and reach your desired weight sooner. Forever Active Probiotic promotes a healthy digestive system, enhances nutrient absorption and immune function. Forever Active Probiotic is the only shelf-stable, 6-strain probiotic on the market today that requires no refrigeration. Find your country from the list of stores below, then go to ‘Weight Management’ and choose the relevant Nutri-Lean pack. Free Recipe Book With Order Confirmation Free e-book full of healthy recipes if you place an order using this site. Just send me a copy of your order confirmation, stating on which country site you placed your order, and I will send you your free recipe book.